The IS® 1500Z series is capable of tackling tight places, providing maximum maneuverability and productivity. The IS® 1500Z offers you a wide variety of available cutting widths, and several accessories for you to choose from. 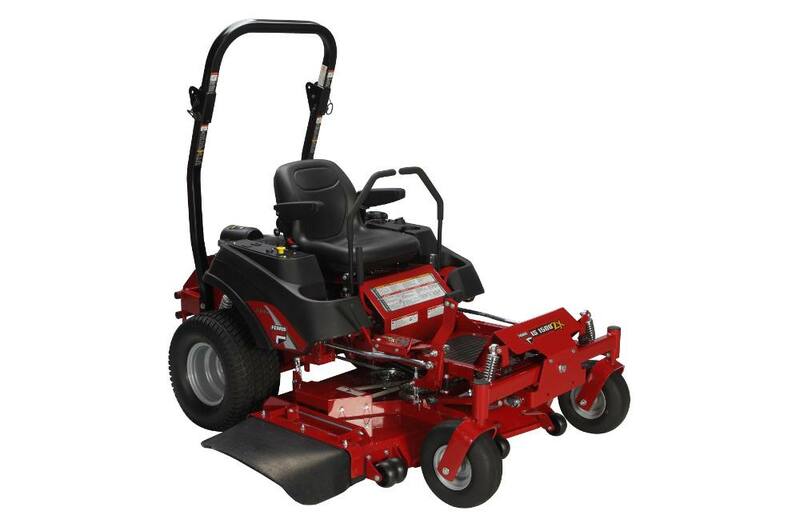 Don’t let the small size fool you, this is a true commercial grade mower that will mow more lawn in less time with all the added benefits of Ferris’ patented suspension system. Patented Suspension: Patented suspension system dramatically increases quality of cut over competitive fixed frame units. Fans Mounted on Pumps: Assist in cooling pumps and repelling debris. Belt & Pulleys: Double A-section belt and cast-iron pulleys are more durable the competitors and can handle extreme load capacity. Pillow Block Bearing on Control Mount: Makes for long lasting smooth controls. Controls / Safety Group: Seat activated engine kill, clutch safety switch, neutral and parking brake safety circuit. Balance of Machine: 4 Years (48 months) or 500 hours, whichever occurs first. Unlimited hours during the first 2 years (24 months). Belts, tires, brake pads, hoses, battery, blades: 90 days. Drive: 22 x 10 x 10 in. ; Caster: 13 x 5 in.